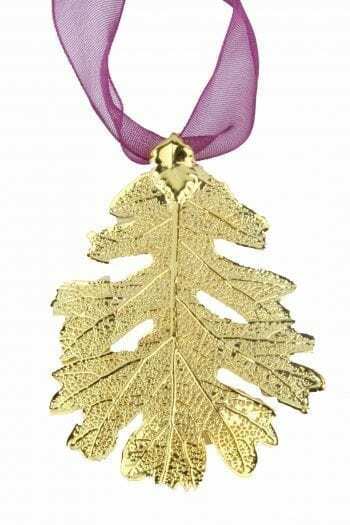 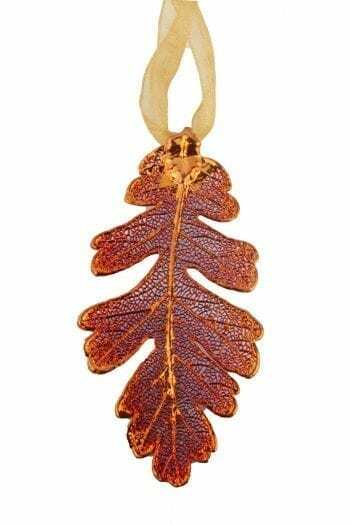 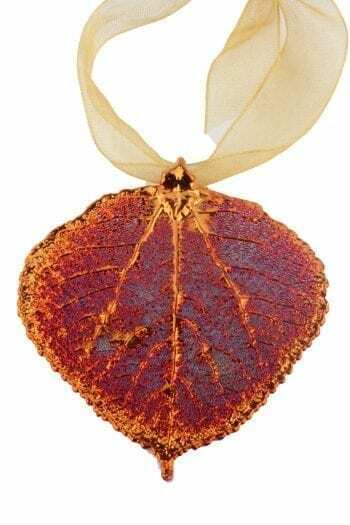 View cart “LOOIR – Copper Iridescent Oak Leaf Ornament” has been added to your cart. 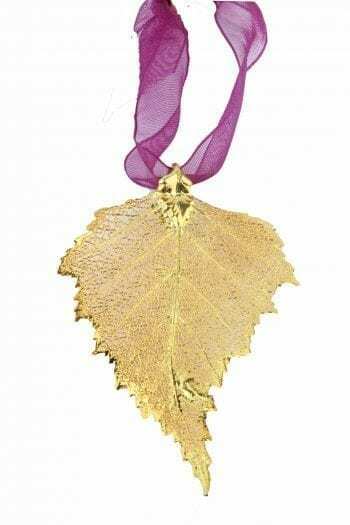 Gold dipped real Aspen leaf and Organza ribbon. 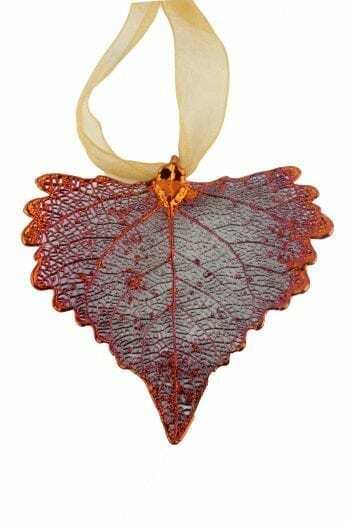 Ornament is handmade in the United States. 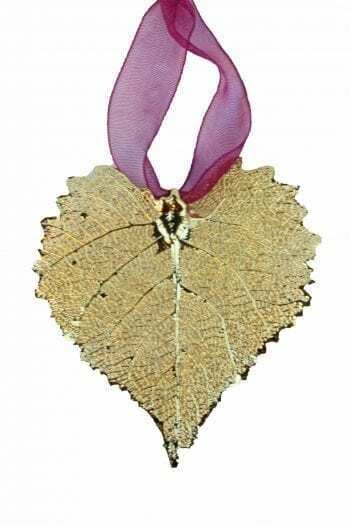 Trisha Waldron designs are handcrafted from a variety of natural and manmade materials. 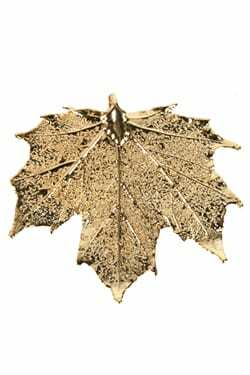 These pieces can vary from the picture, but all are beautiful and one of a kind. 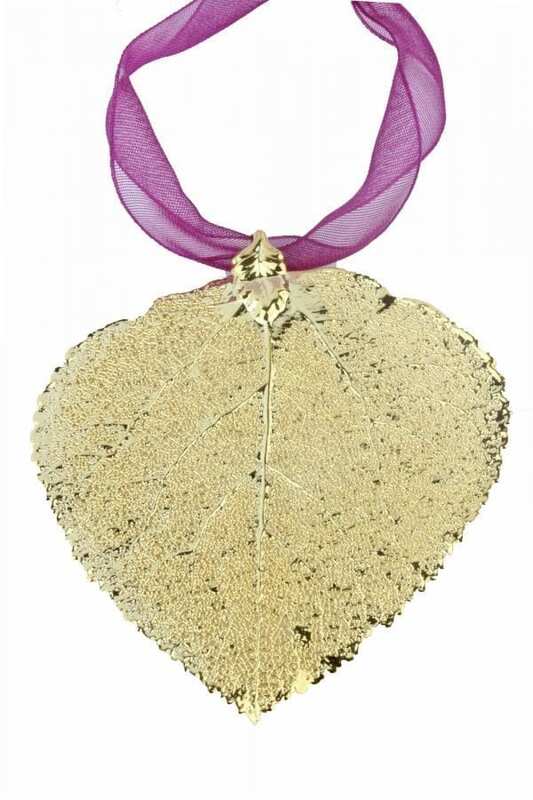 Story: instills hope and love.